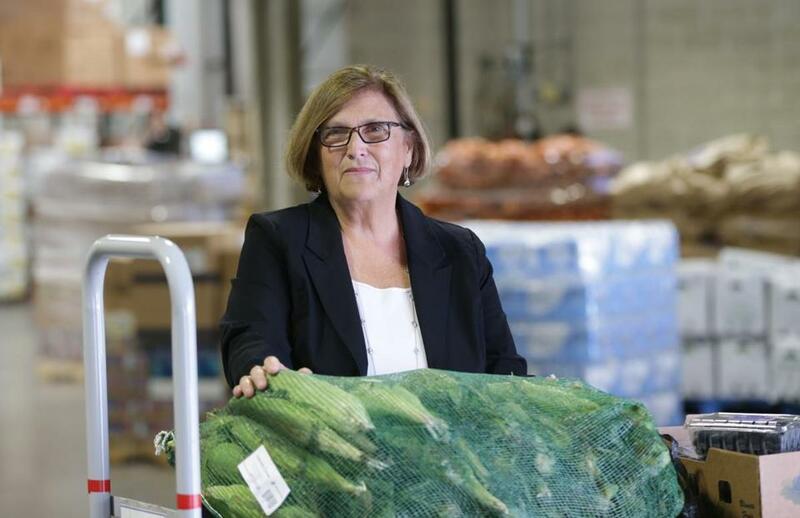 Catherine D’Amato oversees 110 employees and a $40 million annual budget at the Greater Boston Food Bank. Editor’s note: Work Space is a new column about where people work, why the space suits them, and what it reveals about their lives and philosophies. It can be anything from a CEO’s dazzling suite to a cool startup to a cramped temporary office to a communal work area. If you’ve got a candidate, send an e-mail to business@globe.com, and put “Work Space” in the subject line. Catherine D’Amato, chief executive of the Greater Boston Food Bank, is intimately familiar with the space in which she works. In addition to raising $35 million to build the 117,000-square-foot structure between I-93 and Newmarket Square, she helped design it. Food has always been a big part of D’Amato’s life. She grew up in Northern California, where her parents owned an Italian restaurant, and her grandparents were farmers in Colorado. After heading up food banks in Western Massachusetts and San Francisco, she took the helm of the Boston operation in 1995, where she oversees 110 employees and a nearly $40 million annual budget from her office on the second floor. D’Amato’s office is expansive, though she is prepared to downsize to accommodate future growth. And it’s remarkably neat, filled with natural light and plants — and not a stray scrap of paper in sight. 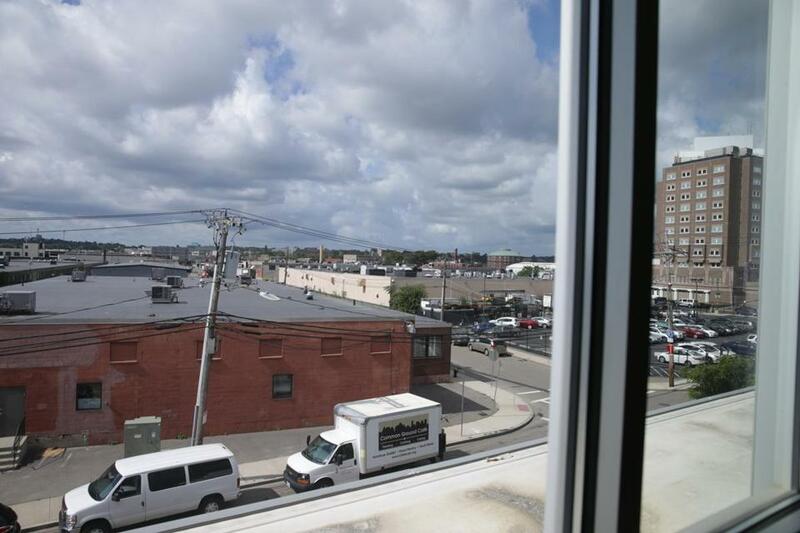 From D’Amato’s office window, a view of the industrial neighborhood the Greater Boston Food Bank is located in. The view. The Financial District this is not. When D’Amato looks out her south-facing windows, she sees the methadone clinic across the street, a tofu manufacturer (in the former Food Bank building), Winston Flowers’ warehouse, a construction company, and an MBTA maintenance facility. Police cars cruise by on their way to the South Bay House of Correction next door. The homeless shelter that opened in the wake of the Long Island closure is a few blocks away. It’s exactly where the food bank should be, D’Amato says. 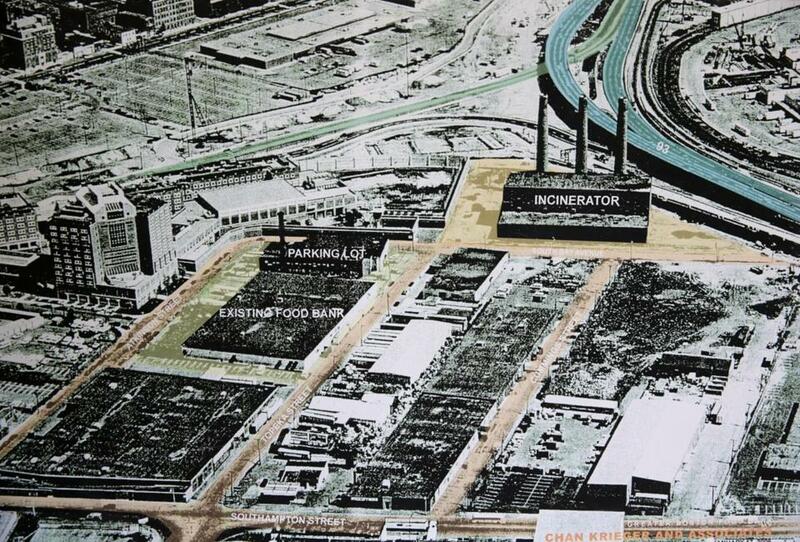 Also in D’Amato’s office is a 1970s aerial photo of the neighborhood, including the South Bay incinerator. Historic photos of the Food Bank site. Leaning against a wall on a shelf are two aerial photos of the Food Bank site. On the left is a stylized shot from the 1970s of the South Bay incinerator, where Boston’s garbage was once burned. Three smokestacks rise above a flat, industrial neighborhood, the highway curving behind it. On the right is the building, under construction, that D’Amato used her considerable fund-raising skills to open, in 2009, with the city skyline in the background. The mirror on the office door. D’Amato is often in the public eye, giving speeches, appearing on TV, and greeting high-profile visitors, including the governor and executives making donations, so she needs to be sure “everything’s tied down” before she heads out the door. In D’Amato’s office are leafy plants that are clippings of one her mother gave her 32 years ago for her first Mother’s Day. Maple ivy plants with a family history. When D’Amato celebrated her first Mother’s Day 32 years ago, after her son was born, her mother gave her a maple ivy plant. 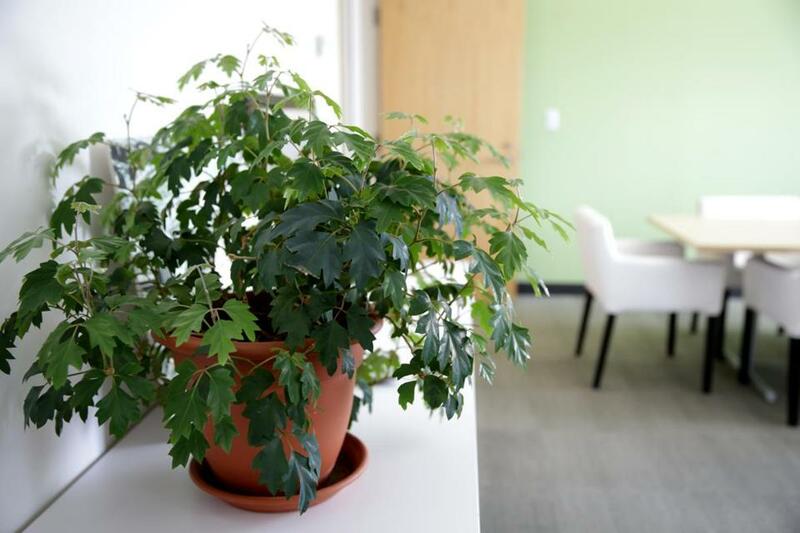 The two leafy plants in her office are clippings from the original, which she still has at home. She has given away dozens of clippings from that Mother’s Day gift, in addition to other plant clippings she’s given to friends over the years. “The seat belt is a reminder that you’ve got to bring people along,” D’Amato said. A friend gave her the seat belt, which she picked up at a junk yard, to remind her to stay safe, D’Amato says.